What’s the Story on Your Christmas Tree? Merry Christmas to everyone! I hope you have all had a wonderful day spending time with friends and family. John Wayne is on television. Mom is reading my new cookbook. 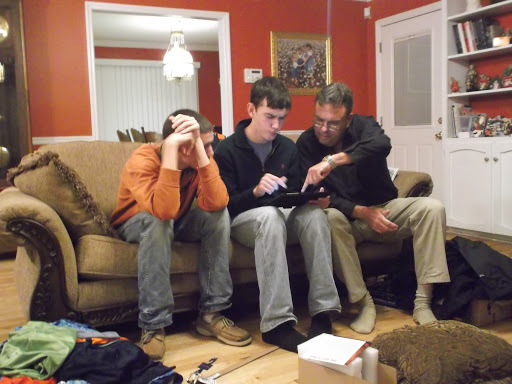 Brady, Thomas and Dad are playing with mom’s new iPad (which she will probably never be able to get her hands on). All in all its been a typical Christmas day at the Peek household. As I sit here soaking it all in I look at our Christmas tree. To me, its beautiful but to someone else it might look like a yard sale, grass littered with junk. Ornaments are interesting it doesn’t matter if they are old or new it is all about the story behind them. 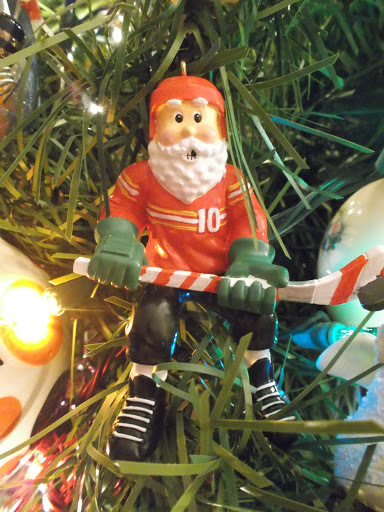 Like that hockey player ornament currently hanging on our tree. Brady and Thomas have started giving my mom the most random ornaments they can find. 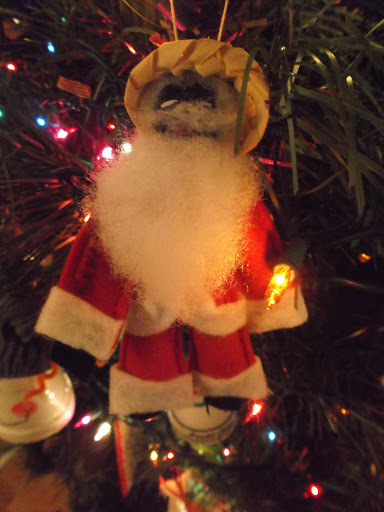 This was last year’s winner, along with a black santa, and Elivs. 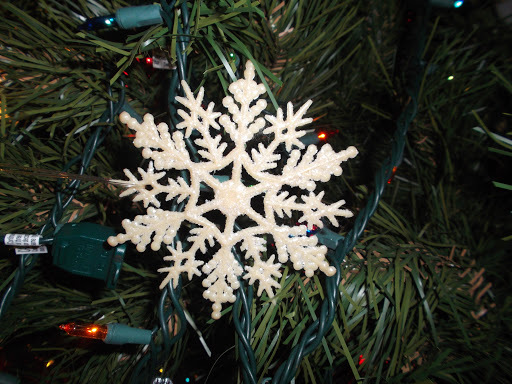 Or that snowflake, looks like a generic snowflake ornament but I clearly remember begging my grandmother to buy it for me one summer at the mall when I was four. Since she is gone it is all the more special. Those (in my opinion) ugly looking Santas. I didn’t realize to the other day that they were a set that my parents bought to hang on their tree the first year they were married. Some of the ornaments haven’t made it through their 31 years together, thankfully their marriage has. 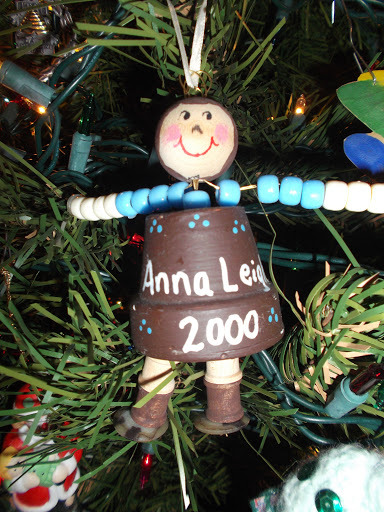 Ornaments like my girl scout ornament reminds me a friends and memories from years past. Billy Button came to me from dad all the way from Frederick, Oaklahoma. 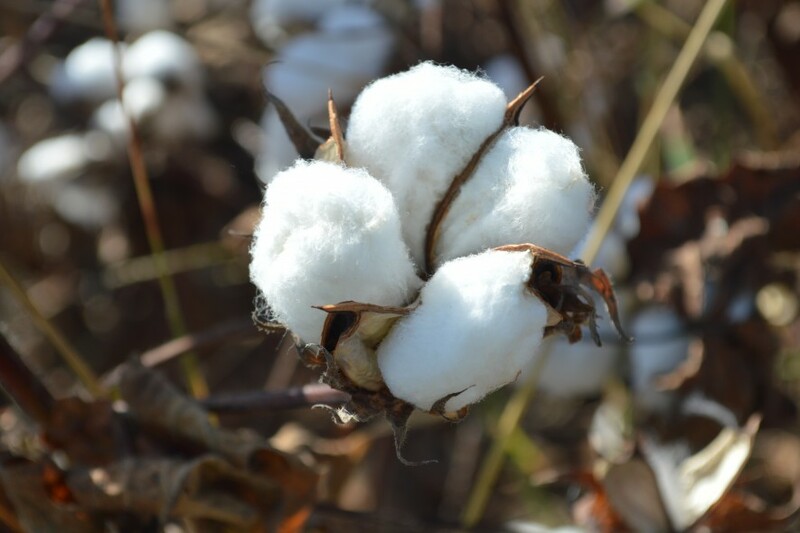 Dad went to Oaklahoma to pick up some cotton harvesting equipment and brought Billy Button back. He’s so cute and its all the more special because dad picked him out. 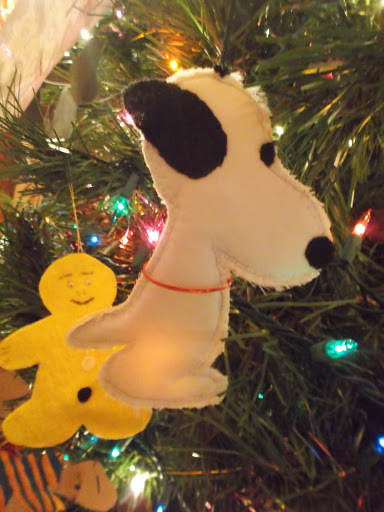 So many of our ornaments are homemade, but this snoopy is really made by hand .My grandmother “Mama Clara” helped me make these with her sewing machine. I wish I would have been older and that I could have learned more about sewing from her before she died, but pretty much all I learned I learned from her. 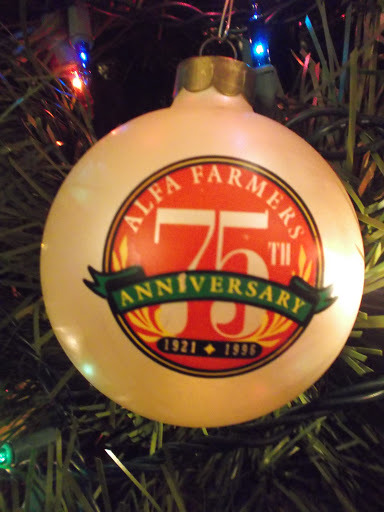 Some ornaments like this Alabama Farmers Federation was one that is bought, but the story of how we got it is what makes it special. At the annual meeting in 1996 Brady was 4 and I was 5. I was too bashful to go to get the ornament, Brady wasn’t. He went up to the front of the room and got it and held it in its little box ALL the way home from Mobile. This ornament was a purchase from a family vacation in the Bahamas. My mom picked it out. 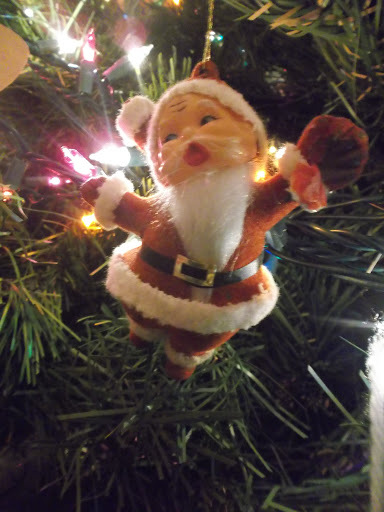 I think it is one of the scariest looking ornaments I have ever seen. But its a little Bohemian Santa Claus that came home on the ship with us and we have so many good memories from that trip its fun to see him come out every December. Finally my cute little elf ornament I made in kindergarten. 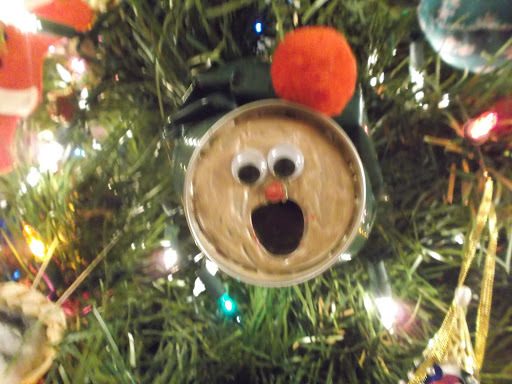 He was made out of a squished coke can. 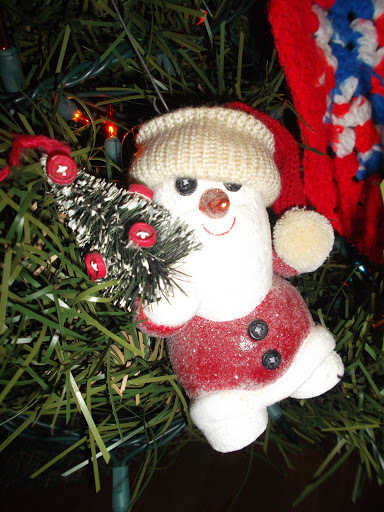 The ornament hung on the tree in the lunchroom for several weeks. I remember being so proud to bring it home to hang on our family’s tree. He was the first of many elementary school ornaments that would be brought home. 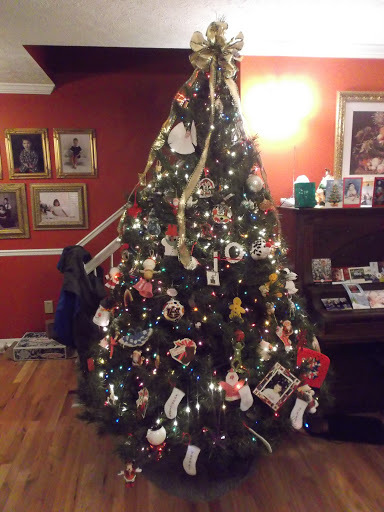 Like I said, our tree is a hodgepodge of ornaments, may not mean much to the average joe, but to me they each have a story. What special ornaments hang our your tree?